Active night cream is recommended as a complement for ongoing or finished SUMMER PEEL treatments or for personal use. Short ingredient list (without parabens, colours or perfumes) combines the advantages of acids: amygdalic, azelaic, lactobionic gently peeling, smoothing and brightening the skin. It absorbes quickly and without leaving greasy layer. Product is non comedogenic- it does not clog your pores. A cream designed for daily night care. Suitable for acne-prone skin, oily skin, uneven colour, and signs of aging. It can be safely used throughout the year. Apply the cream on the cleansed face of the skin, bypassing the eye area. As a supplement to care it is recommended to cleanse the skin with micellar fluid and moisturize it with a soothing cream without active ingredients. 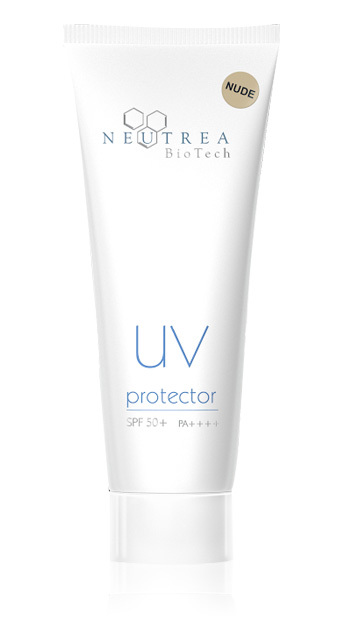 It is highly recommended to use cream with SPF 30 - 50 filter depending on the intensity of sun exposure. Retinol - składnik preparatów hamujących starzenie się skóry, ze względu na klinicznie udowodniowy efekt stymuluacji procesu odnawiania komórek skóry. W naskórku dochodzi do spłycenia warstwy zrogowaciałej i pogrubienia warstw żywych, co prowadzi do jego pogrubieniu oraz redukcji komórek o nieprawidłowej budowie. Dlatego preparaty z retinolem rekomendowane są w się w terapii przeciwzmarszczkowej, osobom starszym, ze skórą z zaznaczonymi cechami fotostarzenia i z podwyższonym ryzykiem skórnej kancerogenezy. Retinol rozjaśnia plamy hiperpigmentacyjne, w związku, z czym nadaje się do pielęgnacji skóry z przebarwieniami pochodzenia słonecznego i hormonalnego. Mechanizm działania rozjaśniającego polega zarówno na przyspieszaniu złuszczania jak i bezpośrednim wpływie na nieprawidłowe, pobudzenie melanosomów, które pod wpływem retinolu zmniejszają się i tracą barwnik. Najbardziej korzystne zmiany związane z przeciwzmarszczkowym działaniem retinolu polegają na zjawiskach zachodzących w skórze właściwej. Dochodzi do nowotworzenia kolagenu, zarówno włókien typu VII, które wzmacniających strefę przylegania skórno-naskórkowego oraz i kolagenu I stanowiącego główne włókno podporowe skóry. Reakcje te są widoczne po około 10 miesiącach regularnego stosowania. Retinol wpływa także na odnowienie włókien elastycznych oraz przyczynia się do powstawania nowych naczyń krwionośnych w skórze, które decydują o prawidłowym odżywianiu i dotlenianiu tkanki łącznej i naskórka. Kwas hialuronowy działa nawilżająco i przeciwzmarszczkowo, wygładza i zmiękcza skórę, działa antyoksydacyjnie, wspomaga regenerację naskórka, przyspiesza gojenie ran. Wykazuje działalnie przeciwzapalne, łagodzi skutki uboczne towarzyszące kuracjom retinoidami. Niacynamid to aktywna postać witaminy B3,która działa przeciwzmarszczkowo, reguluję nawilżenie i złuszczanie się skóry, pełni istotą rolę w syntezie aminokwasów i kwasów nukleinowych. Rozjaśnia przebarwienia, ogranicza wydzielanie sebum i eliminuje stany zapalne. Panthenol działa łagodząco na podrażnioną i zaczerwienioną skórę. Przenika naskórek, gromadzi się w skórze właściwej gdzie i zmienia się w witaminę B5, czyli kwas pantotenowy. Prowitamina B5 ma właściwości higroskopijne co poprawia nawilżenie skóry. Alantoina działa regenerująco, ułatwia gojenie i odnowę uszkodzonego naskórka. Zmniejsza pieczenie, łagodzi, zaczerwienienie skóry wrażliwej. Ma działanie nawilżające, wygładza i zmiękcza skórę. Hyaluronic acid has moisturizing and anti-wrinkle effect, smoothing and softening the skin; it acts as antioxidant, helps with regeneration of the epidermis, and accelerates healing of the wounds. Moreover hyaluronic acid exhibits anti-inflammatory activity and alleviates the side effects associated with retinoid treatments. Niacinamide is an active form of vitamin B3, which acts on wrinkles, regulates hydrating and peeling of the skin, plays a vital role in the synthesis of amino and nucleic acids. 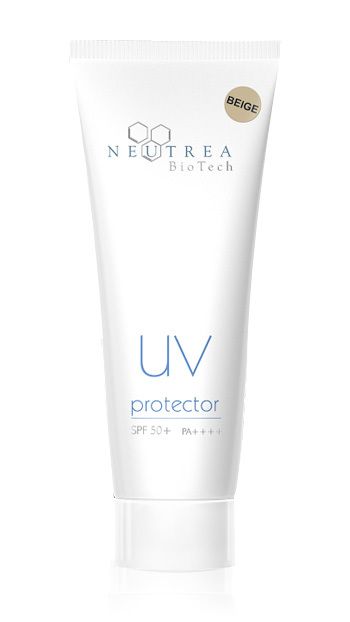 It brightens discoloration, reduces sebum secretion and eliminates inflammation. Panthenol works to soothe irritated and reddened skin. It penetrates epidermis, accumulates in the dermis where it is changed into vitamin B5, meaning pantothenic acid. Provitamin B5 has hygroscopic properties which improve skin moisturing. Allantoin regenerates and facilitates regeneration of the epidermis, reduces burning, soothes, flushes sensitive skin. It has moisturizing, smoothing and softening effect. Cream is applied overnight to cleansed and dried skin. Before the first application it is recommended to perform a test on a small area of the skin and wait 48 hours in order to exclude allergic reaction. Wash hands thoroughly after use. You should avoid contact with conjunctival and nasal mucous membranes (can be secured with Vaseline). For the first four weeks use cream two times a week. If there are no severe side effects from fifth to eighth week of usage, weekly treatment can be increased to the frequency of use up to 3-4 times a week. From the ninth week you can apply the product every day. Warning! Avoid exposure to sunlight during application. Cream should be used in autumn and winter season with simultaneous protection sunscreen (SPF 50) and protection against wind and frost. In the first weeks of treatment, you may experience transient irritation and excessive dryness of the skin (especially around the mouth and neck), erythema. Transient worsening of acne lesions may occur. These are normal side effects of the preparation, which usually subside with time and skin adaptation to active ingredients. If the side effects are feeling too intense, the preparation may be discontinued or reduced. Rarely occurring side effects include contact allergy and urticaria, in this case you should stop using the cream. Retinol can increase erythema on the vascular and sensitive skin. Therefore, in the case of sensitive or vascular skin the frequency of usage should be lowered. Retinol cream intensifies skin irritation after UV and X-ray irradiation. Acne rosacea, seborrheic dermatitis, mycosis, psoriasis, active infections viral (eg herpes), acne in active phase, pharmacotherapy derivative Vitamin A (eg isotretinoin), large number of melanocytic markers, skin with wounds and abrasion of the epidermis, pregnancy and lactation, sensitization to any of the ingredients cream. In the case of the aforementioned, the dermatological consultation is advised to determine the indications for a retinoid and proper treatment dose. INCI: Aqua, Isononyl Isononate, Glycerin, Cetearyl Olivate, Panthenol, Methylpropanediol, Cetearyl Alcohol, Olivate Sorbitan, Hyaluronic Acid, Aloe Barbadensis Leaf Extract, Allantoin, Caprylyl Glycol, Propylene Glycol, Phelnylpropanol. Hyaluronic acid has moisturizing and anti-wrinkle effect, smoothing and softening the skin; it acts as antioxidant, helps with regeneration of the epidermis, and accelerates healing of wounds. Moreover hyaluronic acid exhibits anti-inflammatory activity and alleviates the side effects associated with retinoid treatments. Panthenol works to soothe irritated and reddened skin. It penetrates epidermis, accumulates in the dermis where it is changed into vitamin B5, meaning pantothenic acid. Provitamin B5 has hygroscopic properties which improves moisture the skin. While the cream is used as the basis of daily care to maintain proper hydration of the skin it is recommended to apply morning and evening to the face and neck skin. It can be used in children over 3 years of age and adults. For those who use active treatment preparations, dedicated to various skin imperfections, the cream is recommended as a complement to the treatment to ensure proper hydration and skin regeneration. In order to alleviate the side effects of active preparations, the cream can be applied immediately after facial cleansing (preferably a micellar mill) and after the application of active preparation, to ensure proper hydration of the skin. The cream can be applied 30 min after the application of the active formulation or after its removal. In the case of regeneration of the skin irritated and dried by dermatological and cosmetic procedures, cream can be applied 1-3 times a day, depending on needs. The light consistency allows rapid absorption. The product is recommended for everyday use throughout the year. For the best protection, the application should be renewed during the day. It can be used after applying a serum and / or moisturizer. Recommended as a base before applying makeup or as a toning BB cream, optically smoothing the skin tone and protecting against UV radiation. For a matte finish, loose powder can be used after the preparation is absorbed (about 15 minutes). When intensive exposure to the sunlight UV Protector should be reapplied every 3 hours and each time after swimming in water and / or wiping the skin with a towel. 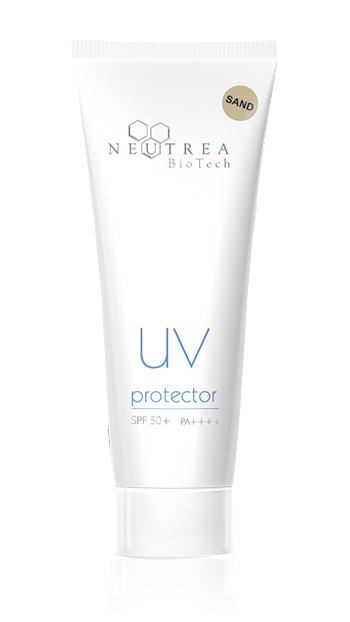 In winter, for better protection against wind and frost, it is recommended to apply first a protective cream and as a top coat UV Protector for the best protection against UV radiation. NEUTREA BIOTECH SP. Z O.O.